Here in the north we have many beautiful, fascinating and tasty fish. Cod with its wintry spawning migration to the coast has always been of great importance for industry and settlements. And traditional meals such “mölja” in January and “lutefisk” in November gives rise to great enjoyment in both the South and North of Norway. Another very good fish are catfish whose fearsome teeth can shatter that of shellfish in the sea. Coalfish is also a great fish where even if it is poorly appraised in export markets, it makes for an excellent food fish. Coalfish fillets with onions – yum! In the summer, coalfish is a prized fish to get via hand line or rod and boiled coalfish liver and chickpea are excellent feasts of the shoreline as the midnight sun rolls over snow-capped mountain peaks. Why is the Halibut the Queen of the Sea? BUT – there’s nothing that beats halibut. Halibut is the undisputed queen of our saltwater fish, or as Petter Dass described halibut in the late 1600s: “The tasty halibut, the Queen of Sea”. Halibut high status as we know it goes way back to the stone age of 6000 years ago when pictures of halibut were carved into the mountains alongside other important prey such as moose, bear, caribou and whales. Halibut is a mythical fish with many rituals. That one must have good “mojo” when catching halibut is well known. Tradition states that if the husband is unable to provide a traditional meal of halibut for Christmas, he has to sit on the boathouse roof during Christmas Eve. 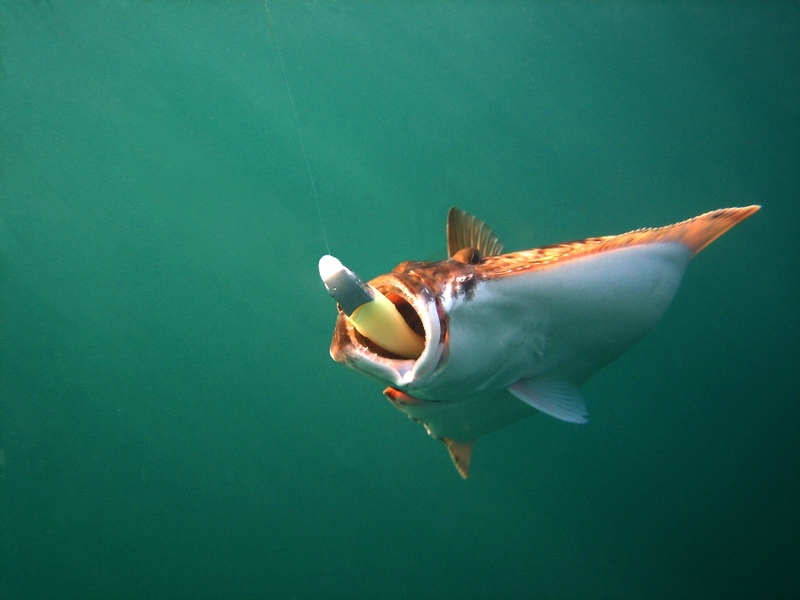 Today, halibut is a treasured and highly sought after sport fish. The commercial catch of halibut had been low since the 60’s when the total catch measured around 5000 tonnes per year. Throughout the 80s to the late 90s, halibut catches north of 62° N weighed in at about 200 tons per year, and then primarily as secondary catch in other fisheries. This has simply been very bad for the halibut population. And south of 62° N and the North Sea, it is still a very small halibut population. But fortunately, the population north of 62° N has risen up sharply in the last 10-12 years. Fishery researchers at their annual coastal cruises registered a sharp increase in the population, in particular with that of halibut. And line fishermen who fish cod and haddock who in the past, barely got halibut as secondary catch during a whole season now gets halibut with every line they set. Several professional fishermen have now seen the benefits of taking halibut fishing nets since they can get plenty of large halibut. Professional fisherman like Tom Rickard Kristiansen caught a halibut at 314.5 kilograms in his net just outside Sørøya last autumn. Late autumn, when the nets and line fishing for halibut is at its best, so much was delivered that Norwegian Raw Fish Organisation had to repeatedly lift the minimum price. This is because demand for many years with minimal inputs of halibut, is just not large enough to justify the price. There may be several reasons for the growth of halibut stocks in the north. Two important reasons are probably because we’re using separate grids in shrimp trawling and the ban on prawn trawling in the fjords. Because of its low population over many years, halibut fishing has stayed historically low. Recreational fishermen and anglers too are catching a lot of halibut. But the cleverest halibut fishermen have been foreign tourist anglers visiting the many fishing camps that have sprung up in Lofoten , Senja, Kvaløya , Vannøya , Sørøya , and many other places along the coast. A very interesting question is why do tourist fishermen get so much halibut. Do they have a special technique to share with us local anglers? An important reason why they get so much halibut is that they are fishing a lot more than we do. They’re basically on an extended fishing vacation for a week or two and it is safe to assume that they are fishing both day and night. But their persistent fishing effort is not the only explanation. Many also use new fishing techniques that are very effective – and I am thinking primarily of fishing with the famous “shad jig”. These “rubber fish” are available in many sizes and colours and they move in the water vividly. The “shad jig” is particularly good for halibut fishing, as I have learned. Five years ago, I tried fishing with “shad jig” for the first time in a good halibut fishing spot near Tromsø and got three halibut between 5 and 18 kilos within three hours of fishing. That’s about as many halibut as I had caught previously in my career as an angler. In other words, this is a small fishing revolution. And new tours have proved that this was no coincidence. The “shad jig” has provided a great many halibut catches as I have experienced. In other words, I learned a lot from these tourist anglers and my big fishing trip, and that is to get yourself a pair of “shad jigs” and try for halibut! Because halibut had over many years very little economic significance, there has been little research on its biology and behaviour. Therefore, there is relatively little research evidence about halibut life and habits. But there are a few facts that we know. For instance, big halibut that weigh hundreds of kilograms are always female and they can be more than 50 years old. Halibut also becomes sexually mature only at the age of 10, thus making the population vulnerable to overfishing. Spawning takes place in the winter in February-March with the majority of the population congregating at 300-700 meters deep in the fjords. Since halibut is tightly assembled at these spawning grounds, this makes it easy to catch them with nets. It is therefore prohibited to fish for halibut with nets in the period between 20 December and 31 March. There are indications that halibut is far more active than one might think. It can be easy to think that the flat halibut that doesn’t have a swimming bladder spends its time buried in the sand and mud. But the Havforskningsinstituttet (Ocean Research Institute) tagged halibut with satellite-tracers that can detect depth and temperature every 2 minute, and have shown the fish to be particularly active from March to July. Halibut with satellite tracers have also performed daily journeys from 500 meters deep and almost up to the surface. Halibut is therefore an excellent swimmer. And those who have had it on their hook knows that it is very strong. 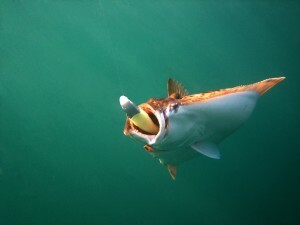 Halibut also eat other fish such as coalfish, haddock, cod, capelin and herring. Halibut is a great fish, but it is sensitive to heat and therefore should not be fried or cooked too long because that will make it too dry. My favorite meal is a whole halibut (4-6 kg) baked in the oven. Cut a grid pattern in the skin and marinate it with salt and pepper. Then place the halibut in a roasting pan with a meat thermometer and into the oven at 160 degrees. Take the halibut out once the core temperature is at 47-48 degrees then let it rest a few minutes before serving. This would loosen the meat from the bone perfectly while ensuring that it remains juicy and good.